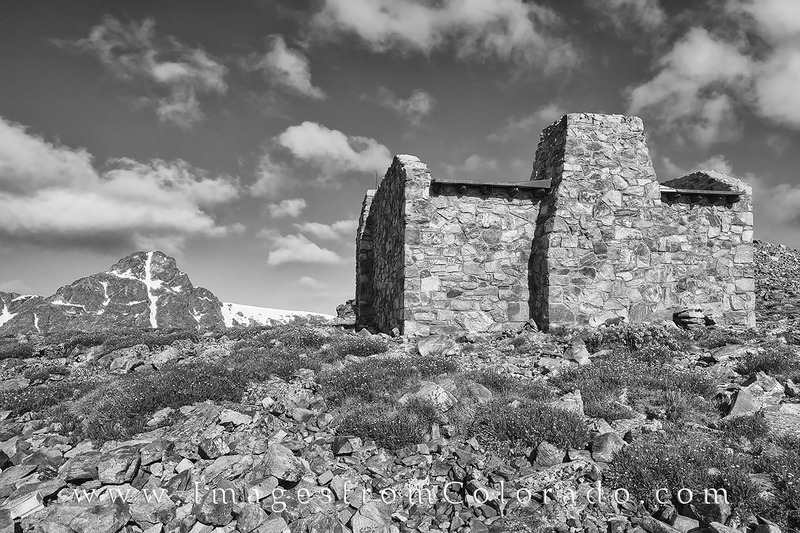 This black and white Colorado image shows the shelter built from 1931-33 atop the saddle of the Notch Mountain trail. In the distance is the cross of Mount Holy Cross (14,005’). Taken on a beautiful Jully morning, the 11 mile round trip trek is worth the sweat and gruntwork to reach this location at ~ 13,100’). Photo © copyright by Rob Greebon.